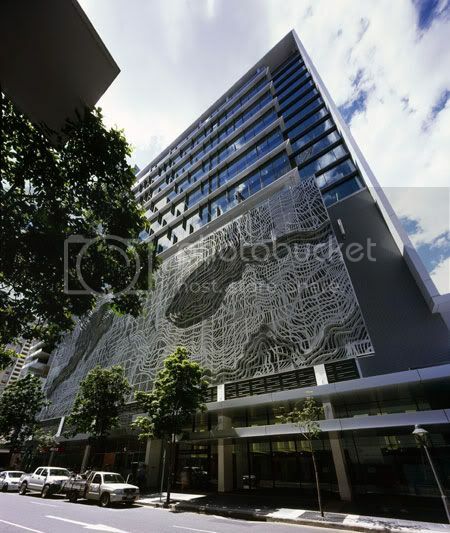 An amazing screen for a carpark building in Brisbane by Urban Art Projects (UAP). 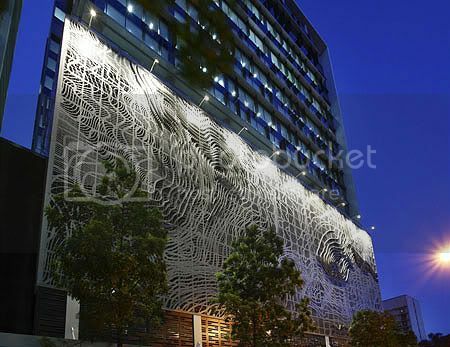 Titled 'Landlines', the screen wrap itself around three faces of the car park, displaying a contoured map of Cunningham’s Gap and the Main Range in Brisbane, the work is formed of 549 powder coated, laser cut aluminum panels, all 1.2m x 3.6m. The inspiration for the design came from the undemocratic nature of most tall buildings, responding to how few people get the chance to take-in the view from the top. 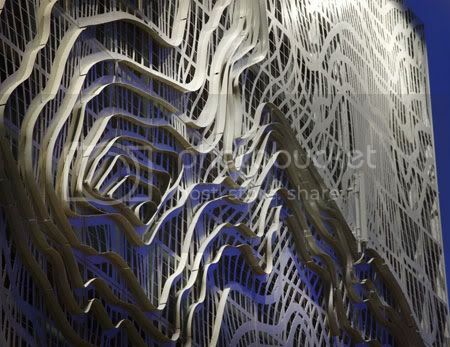 By illustrating the contours of the surrounding landscape, ‘Landlines’ brings the view from the building down to the street level whilst also creating a visual pun that depicts a horizontal three dimensional landscape and applies it to a vertical structure.